Rep. Henry Waxman (D., Calif.) recently criticized a Time Warner Cable lobbyist for suggesting that NBC is exhibiting bias in its coverage of the Affordable Care Act. However, Waxman failed to disclose his own campaign contributions from Comcast Corp., the parent company of NBCUniversal. Waxman, the ranking member of the House Energy and Commerce Committee, wrote a letter Friday raising concerns about an email he said the lobbyist sent to Republican staffers in the House and Senate. "Next time you think about helping the broadcasters—particularly the networks—read this…," the email said, followed by a link to the Weekly Standard blog post, "NBC Launches Week of Programming to ‘Help’ Obamacare Succeed." The post pertains to an NBC press release announcing the network’s "Ready or Not, the New Healthcare Law" initiative, a series of social media forums, on air reports, and online resources designed "to help shed light on what the health care act means for [consumers] and explain how to enroll." "A broadcaster has a public service obligation and should be informing viewers about the new options for health coverage under the Affordable Care Act," Waxman wrote in his letter to the lobbyist. "On the other hand, a cable company should not be pandering to the worst instincts of the reckless Republican extremists that seem to be running the House of Representatives." Waxman did not say in the letter that he has received more than $30,000 from Comcast, NBC’s owner, in the past two election cycles. 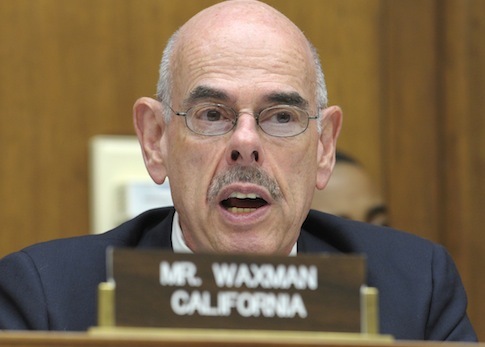 Comcast donated $22,500 to Waxman in the 2012 cycle and $10,000 in 2010. The Wall Street Journal reported Sunday that Obamacare’s website is beset with coding problems and flaws in its architecture, preventing millions from enrolling in health insurance exchanges. This entry was posted in Politics and tagged Comcast, Henry Waxman, Obamacare. Bookmark the permalink.